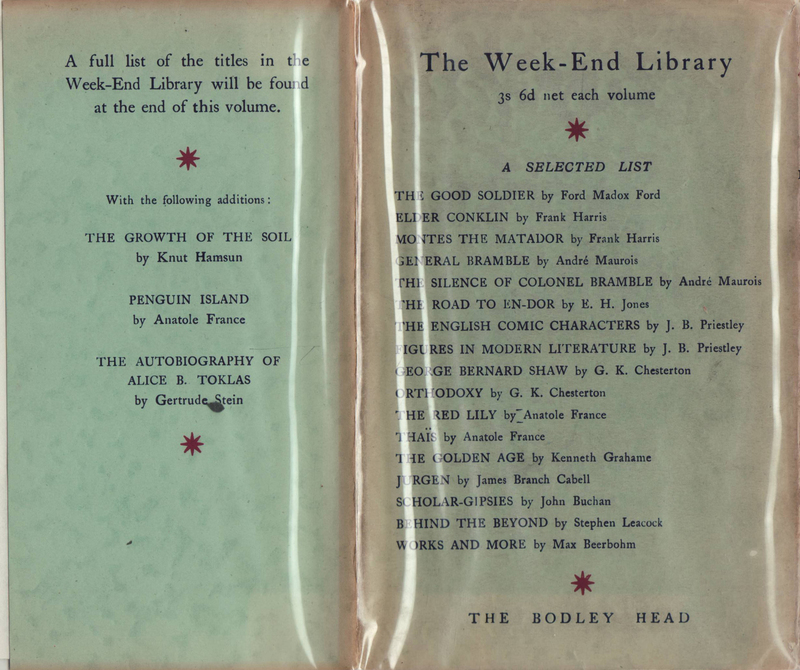 A John Lane / Bodley Head series of at least 52 titles issued prior to the Bodley Head Library series (which began in 1937). 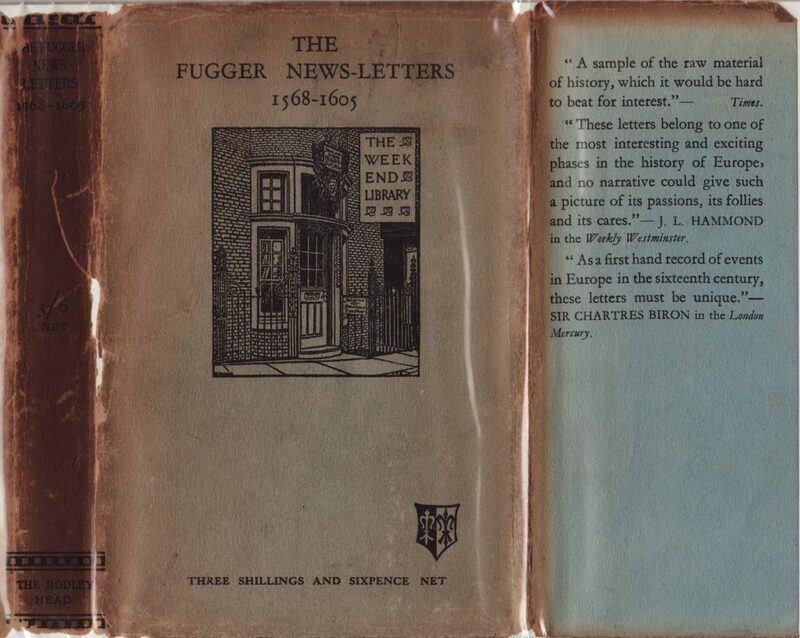 The publisher ran into financial issues around 1935, potentially ending this series. 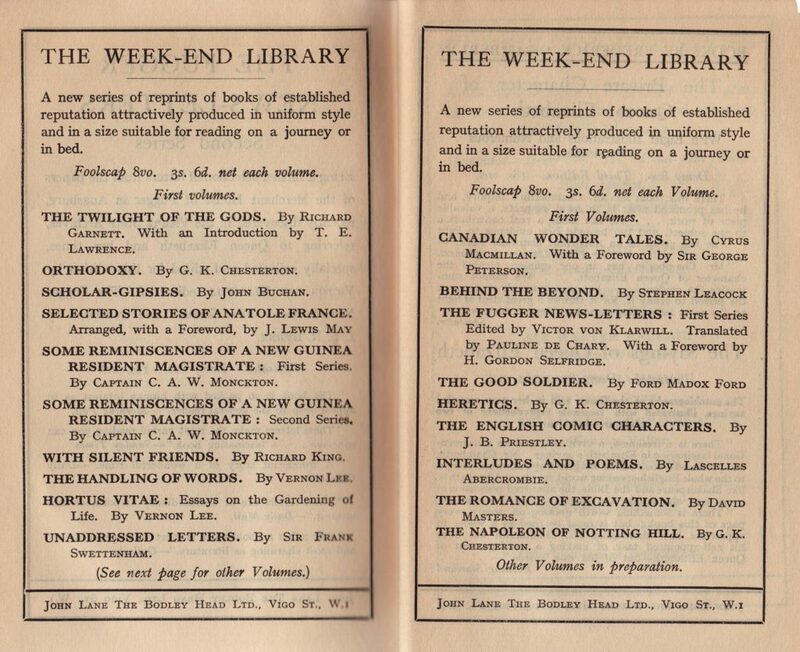 Doubleday, in the US, issued an earlier Week-End Library in 1914. 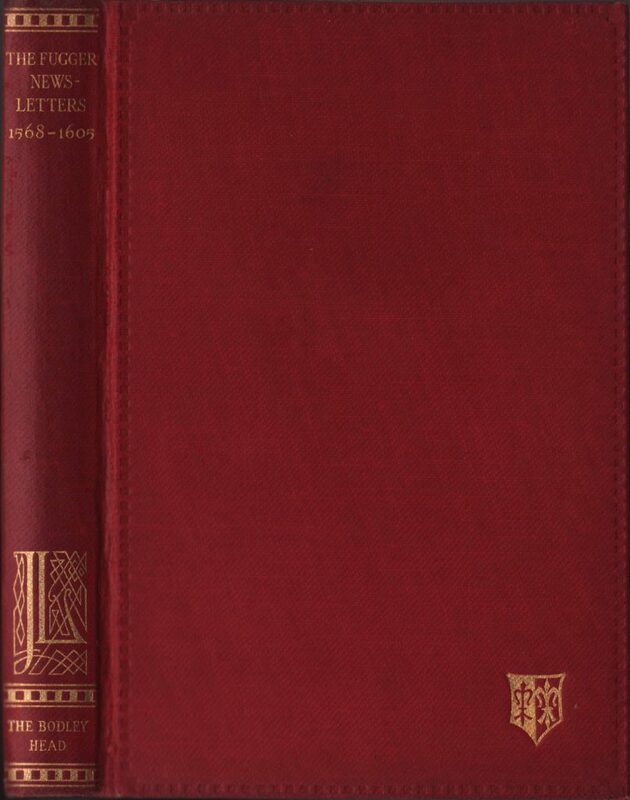 What I believe to be the earliest of the jackets (1927-28) shown here are monochrome, with a series logo that includes a sketch of what seems to be the John Lane / Bodley Head office in London. 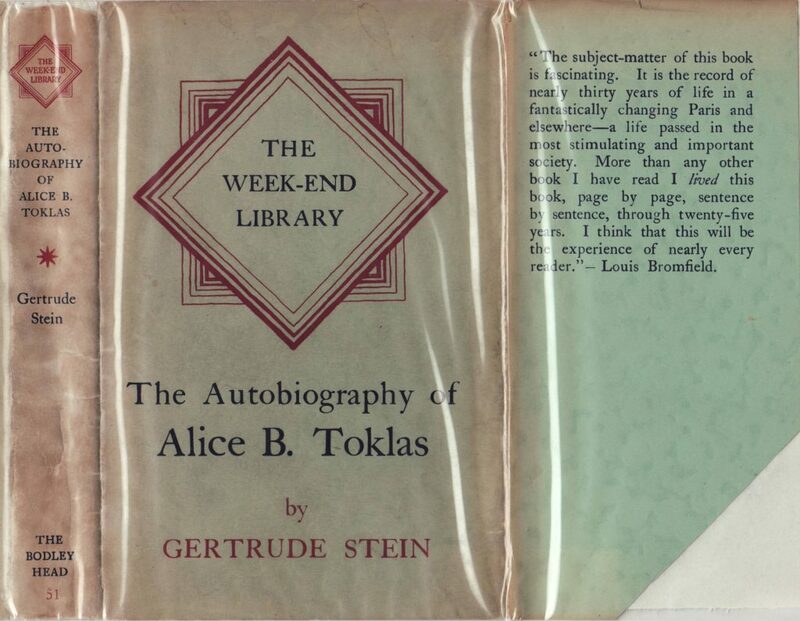 Some laudatory quotes about the specific title are included on the front jacket flap. The price (3s. 6p.) is printed on the front of the jacket. The back of the jacket has the initial 19 titles. 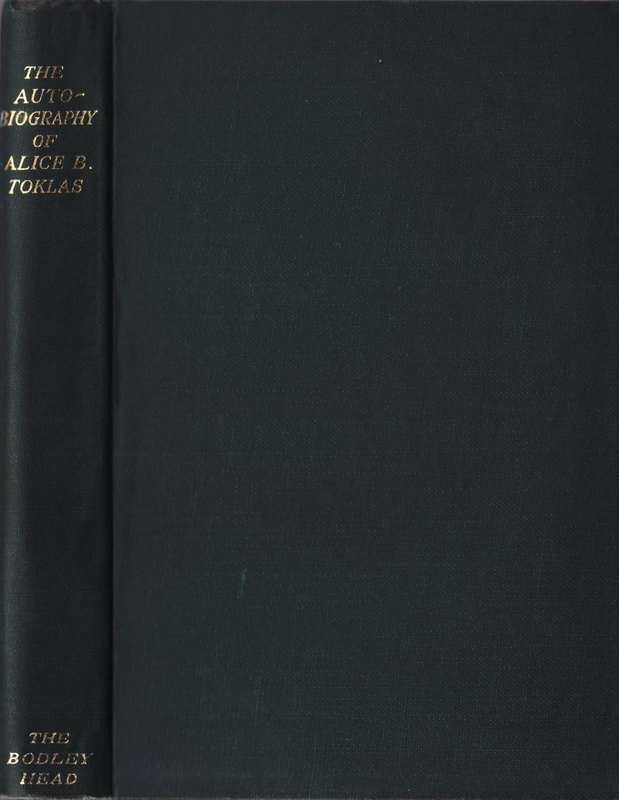 The bindings are a sturdy faux-leatherette with gold stamping. 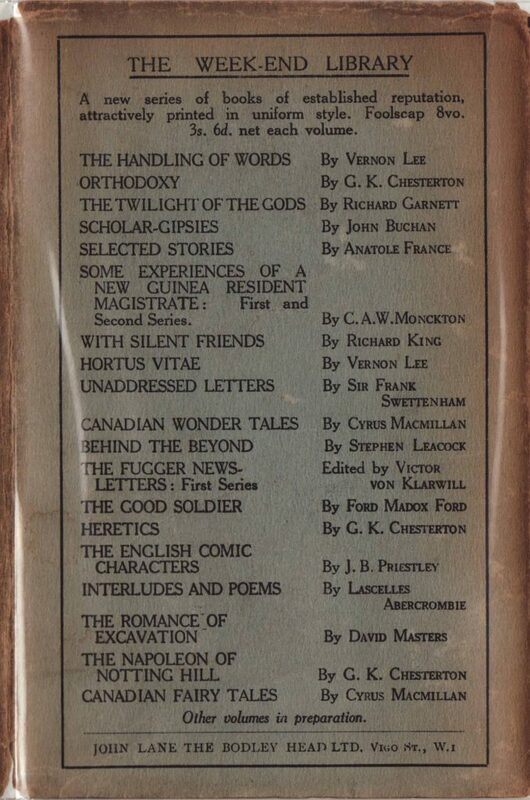 A more descriptive catalog of the first 19 titles is bound in the back of the book. This jacket was replaced by one with color stripes, which also incorporates the John Lane office drawing. The price remains the same and is printed on the jacket spine. 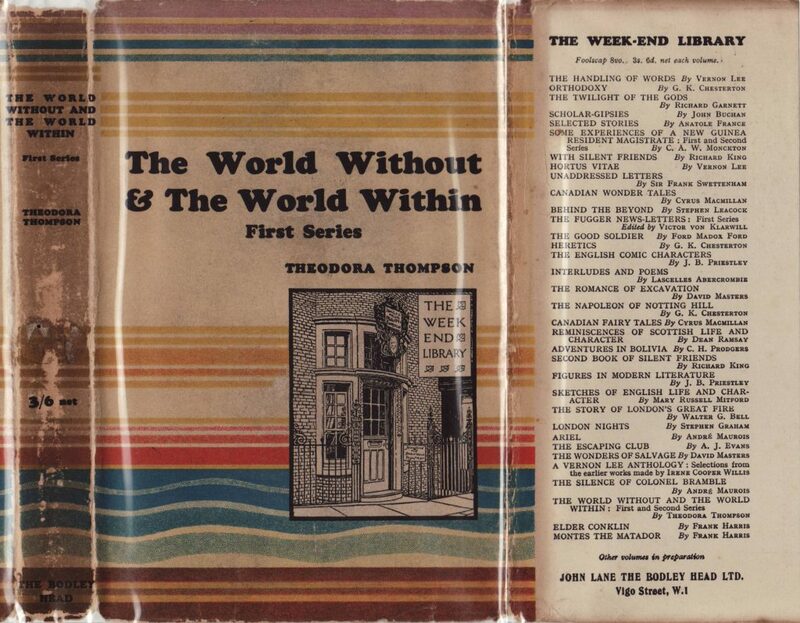 An extended catalog is printed on the front jacket flap. 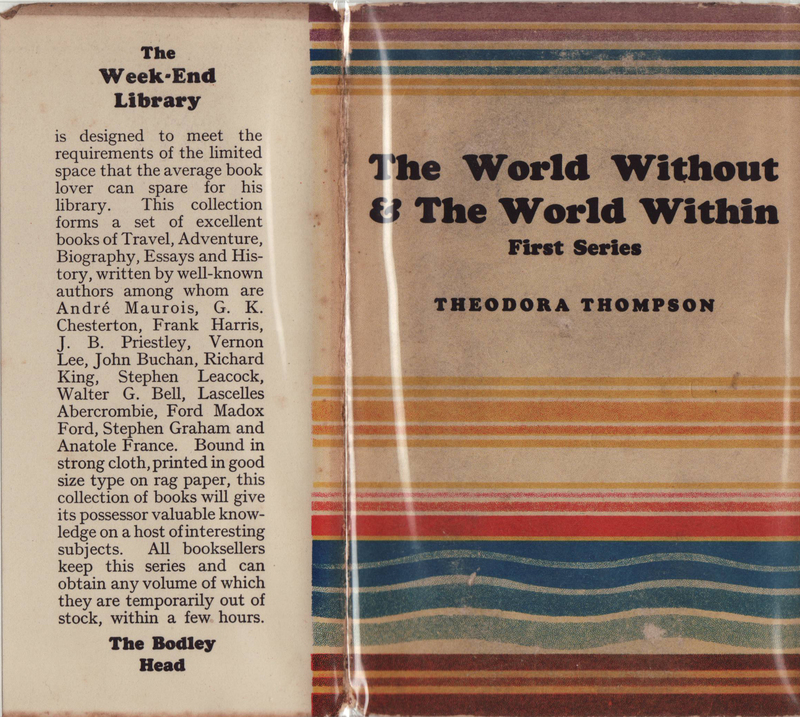 The back of this style jacket includes the title of the book, along with a general description of the series. 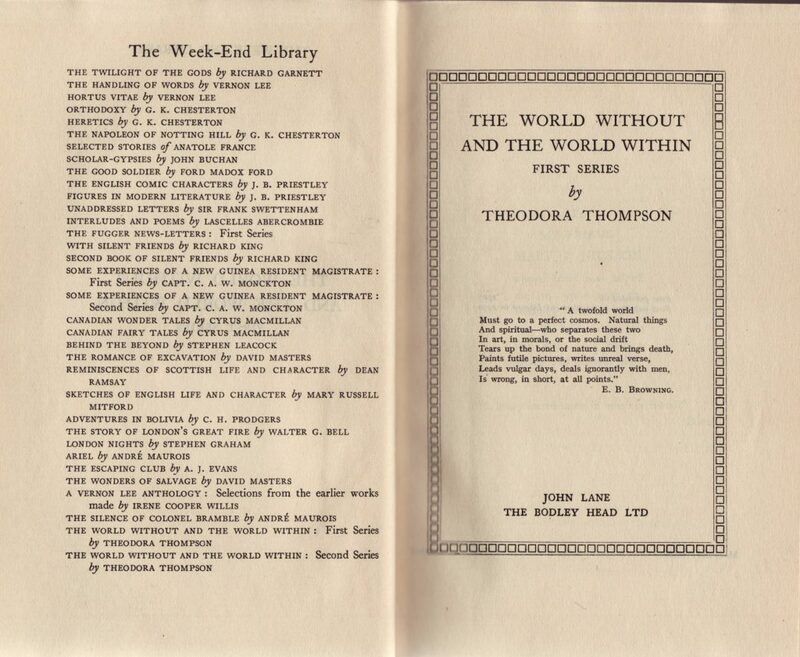 Titles in the series are also printed in the front of the book. The third style of jacket (1934-35) is more subtle. It retains a quote from the book on the front jacket flap. The back of the jacket includes a selected list of titles and advertisements for the last three titles issued in the series. The bindings are also more basic, cloth with no decoration.